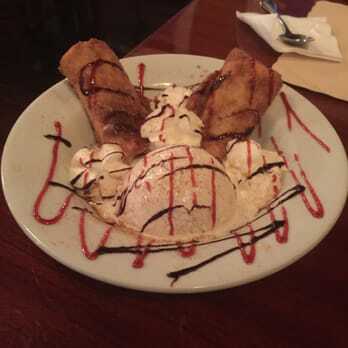 While visiting the local Puerto Rican restaurant, Buen Provecho, a friend and I indulged in the delicious dessert, Deep-Fried Cheesecake. The crunchy exterior followed by the sweet and creamy filling left our mouths watering. We were instantly inspired to recreate it! These can even be made into bite sized balls if preferred and are best enjoyed with a side of creamy vanilla ice cream drizzled with chocolate or strawberry sauce. There are various toppings that can be added depending on personal preference, including strawberries or Oreos. First, preheat your oven to 350 degrees F. Take a medium sized bowl and mix together the graham cracker crumbs, 1/4 cup of sugar and melted butter. Press mixture down firmly in a 9-inch baking pan and bake for 8 minutes. Next, in a larger bowl, combine cream cheese and 1 cup of sugar and beat until it is fluffy. While beating, add in the eggs one at a time and stir in the melted white chocolate. Pour the batter into earlier prepared crust and bake for 45 minutes. Let cheesecake cool on wire rack and chill for 8 hours. Then, cut the cheesecakes into 3-by-1-inch pieces. Spread a light amount of egg wash on each spring roll wrapper and place cheesecake pieces in the middle of each wrapper. Add a few pieces of the chopped chocolate. Next fold the top part of the wrapper down and fold both sides of the wrapper toward the center. Roll the cheesecake toward you until completely rolled up. Make sure roll is tight. Repeat process with the rest of the cheesecake pieces. Heat the vegetable oil to 350 degrees. Release the rolls into the oil in the fryer and cook until golden brown, which may take about two minutes. Then remove from the oil using tongs and place each roll in a bowl of powdered sugar. Make sure to coat well. Place the rolls on paper towels to cool before consuming. After they cool, add chocolate sauce and whipped cream. 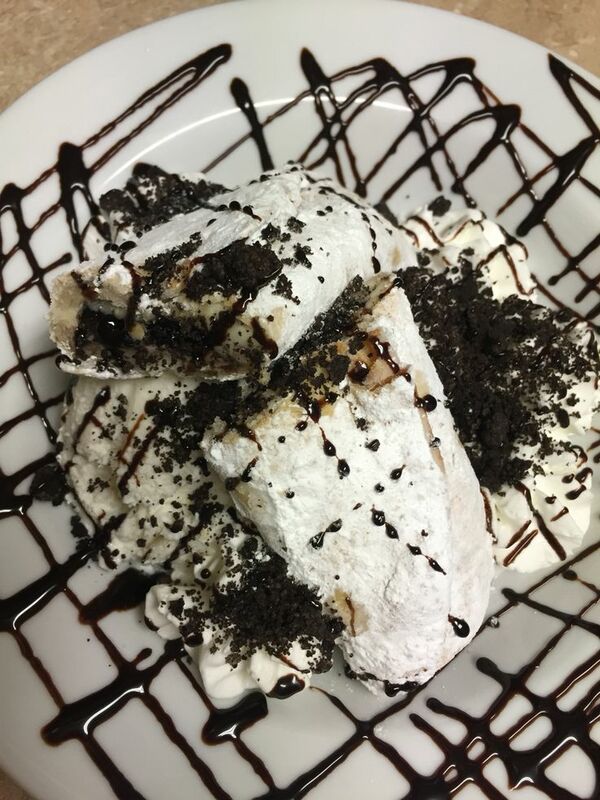 Depending on preferences, ice cream makes a great pair with these fried cheesecake rolls. Next step: enjoy!